If you’re planning a trip to the Maldives, one of the most important things to take into consideration is the weather. While the islands do enjoy a warm, tropical climate year-round, rainfall and cloud cover varies throughout the high and low seasons. The month that you choose to book will also affect the cost of your vacation. 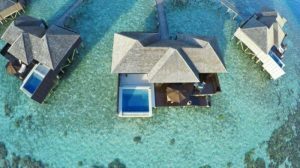 Unsurprisingly, the high season brings with it high prices, while amazing deals on Maldives resorts can be snagged during some of those off-peak, low-season months. Gathering Maldives weather information online can be a tricky task indeed, so we’ve done the hard work for you and put together the complete month-by-month guide to Maldives weather, as well as ‘at a glance’ sections so you can see all the main weather stats for when you want to visit. Read to the end and you will find some bonus extras that cover extreme weather information, what months have the best weather, and when to visit if you want the best deals. Maldives weather in January is typically excellent, and it’s considered to be on elf the best months weather-wise. Temperatures hover around the mid-80s, sea temperatures are bath-water warm, and rainfall is at a low. It also has the second highest hours of sunlight per day for any month (beaten only by February). Booking a holiday to the Maldives in January is an excellent choice if you love sunshine and want to have the best chances of great weather. Be prepared for high prices though, particularly if you plan to visit over New Year’s. 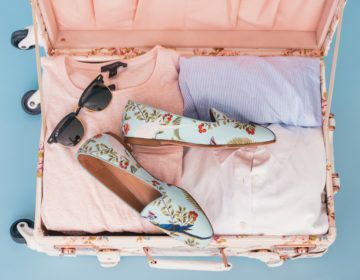 Many other people want to escape the cold back home and spend it sunning on an idyllic island, so be sure to book with plenty of time in advance to score your chosen resort too. February weather in the Maldives is pretty similar to that of January. You can expect temperatures in the mid-80s, and a whopping 10 hours of sunshine a day on average. The amount of rainfall also decreases to just 50mm a month. February does fall in the high season and rates will still be on the highest end of the scale, particularly if you chose to visit over Valentines Day. 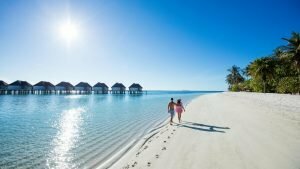 With the Maldives being one if the most romantic hotspots in the world, you can expect the Maldives resorts and the best rooms and villas to bet booked up by loved-up couples over V-day. If you are taking a loved-one on a special trip then chat to the concierge about special packages that they can offer. This can include special touches like a couples massage, a dinner on a private island or even a rose-petal-filled room for when you arrive. March is also in the high season, and weather conditions are again similar to both January and February. Temperatures are still in the mid-80s while the average low rises to 81 from 79. Humidity can feel a little higher during this month too, so be sure to bring airy fabrics to keep your cool. You can find some special Maldives deals during March if you know where to look. Check out our comprehensive guide on how to find the best Maldives deals. April marks the start of the low season, and it brings with it more rain – nearly double of the monthly average for March at 132mm a month. Showers can be frequent, particularly in the afternoon, however, they often pass as soon as they arrive. Temperatures and humidity are still high. April is a good month for finding cheap flights and hotels in the Maldives if you avoid traveling in and around Easter. Make no mistake, May can be wet – sometimes as wet as those super off-peak seasons. Average rainfall stands at a high 216mm a month, and the average hours of sunshine a day drops too. The average high sits at around a rather high 86, and humidity can be pretty high too during this month. If you don’t mind warm rain, March can be a great time to getaway to the Maldives for cheap. June, June, and August are very similar weather-wise, and they all also fall within the low season. During these months you can expect a fair bit of cloud cover, as well as morning and evening drizzle with the odd torrential downpour. It’s not all doom and gloom though, the rainfall helps to clear up the humidity, while temperatures still stay pretty high. You can still enjoy a swim in the ocean or infinity pool when it rains, and your resort will be sure to have lots of wet weather activities to help to keep you entertained. July is almost identical to June just with a little less rainfall. Rates can rise a little too as many families choose to take kids away while they are in the school holidays. August is similar to July, just with a little more rain. It is one of the busier off-season months as people choose to take their family on vacation in this month. September is wet. In fact, based on previous years, September has the highest amounts of rainfall of 243mm a month. This is a great time to go if you want to find the best deals on your Maldives resort. October is also another wet, low-season month. Temperatures are high, sea temperatures are warm, and there is a recorded average of 8 hours of sunshine a day. If you visit during this time you can expect to see a fair bit of rain though. Your resort will provide you with umbrellas so you can stay high and dry. November is the least sunniest month of the year. The average hours of sunlight a day for this month stands at 6 hours. Cloudy days are frequent, as is the rain. However, blue skies and sunshine can make an appearance too. November is a great time to find bargain Maldives deals before the Christmas crowds arrive. December marks the start of the high season. On paper, the average rainfall for this month is still pretty high at 232mm. But many locals report that a lot of this rain falls at the start of the month and things start to clear up a little by Christmas time. If the budget allows, it’s a lovely idea to spend the holidays on a stunning stretch of sand, watching the shimmering Indian Ocean as friendly staff serve up some of the best cuisine from around the world. It truly is a magical time, and will provide quite the experience for your family compared to spending it at home (often in the cold). It’s one of the busiest months, and many like to book their festive vacations very early on, so be sure to plan and book your Maldives resort with plenty of time in advance if you want to spend December in the Maldives. Is there Extreme Weather Maldives? Because the Maldives are located near to the equator, they can experience a monsoonal climate. While severe monsoons are rare, they do happen on occasion. Actually, the two season are given monsoon names: The high season that runs from October to May is known as the Winter Monsoon or Iruvai. Despite its name, this is the dry and hot time of year where torrential rain downpours are rare. The Summer monsoon season, called the Halhangu in the traditional Maldivian language of Dhivehi, brings with it more rain, cloudy skies and rougher seas. However, many locals say that this time of year is when you are most likely to witness the most dramatic and spectacular sunsets. It is very unlikely for there to be any sort of hurricanes or typhoons in this part of the world. On rare occasions, there can be very strong gusts of winds up to 150 km/hour. Resorts are well equipped to deal with extreme weather conditions and they will have an action plan in place should a freak storm hit. It’s worth noting that seaplanes require excellent conditions in order to be able to fly, so bad weather could disrupt your transfers. The Maldives has a natural barrier that helps to protect them from tsunamis. They feature special natural slopes that reduce the force of ocean waves. This natural feature helped to prevent the Maldives from being damaged during the 2004 tsunami. What Month has the Best Weather in the Maldives? This one is up for debate, as many people have different ideas on exactly when the best month is. The best weather certainly falls somewhere in the dry season between November and April. February is an excellent month to visit, as it has the least amount of rainfall per month and average temperatures of 84 degrees. However, if you really want it to be as hot as possible, then April’s average of 88 degrees a day may be for you. However, the risk of rainfall also doubles in April compared to February. 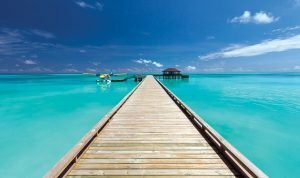 See this article for our top tips for a Maldives vacation. Of course, no month is guaranteed the perfect tropical vacation weather. And locals even remark that the climate is becoming a little more unpredictable in recent years. But if you truly want to give yourself the best chances of great weather based on past average then we recommend taking a trip either in January, February or March. When is the Cheapest Month to Visit the Maldives? It’s no surprise that the low season brings the lowest rates. 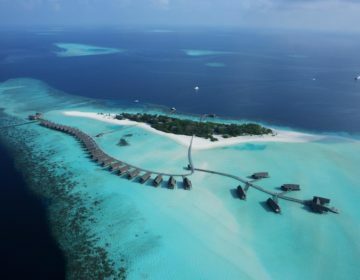 September and November have the largest amounts of rainfall per month, and they generally are the times that you can bring up some pretty cheap Maldives holidays deals. If you want to find the lowest rates on Maldives hotels then the low season is the best bet, and be sure to avoid any sort of holiday including when children get time off school as this is when rates can rise. You may be able to bag some amazing Maldives deals if you book with plenty of time in advance. Or, if you’re flexible with dates then a last minute holiday could provide to work out well for you too. 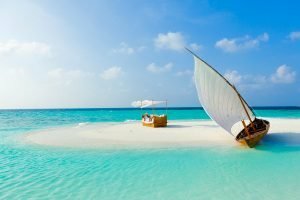 Hopefully, the above information provides you with all you need to know about the month-by-month climate in order to choose the right time to visit the Maldives. Ultimately though, there is no bad time to visit this beautiful paradise. The climate is always warm, the sands paper-white, and the palms emerald green. Luxury Maldives resorts offer enough entertainment to keep you entertained regardless of the weather. 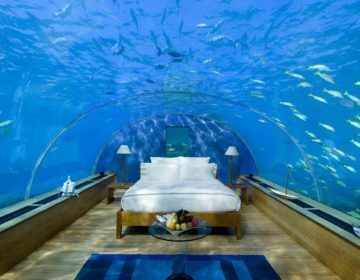 And even if it does rain, you can still take a dip in the marine-life filled sea or hotel infinity pool, or simply cozy up in your thatched-roof villa. You can find more infraction on the best time to visit the Maldives here. The Maldives is magical, no matter when you visit. Happy travels!